JDC - Archives : Poster hanging on wall, depicting a workman at the Foehrenwald DP Camp. Title Poster hanging on wall, depicting a workman at the Foehrenwald DP Camp. 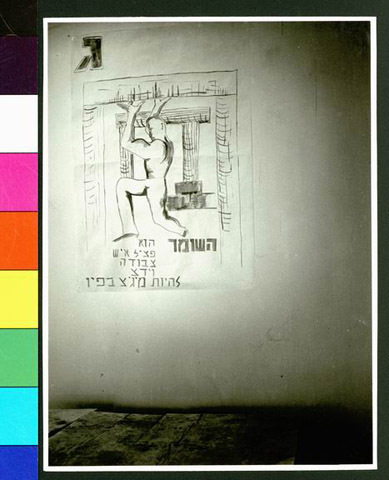 Description A poster on a wall depicting a workman at the Foehrenwald DP Camp for Jewish refugees.